The greatest gift of all, a Savior, Jesus! 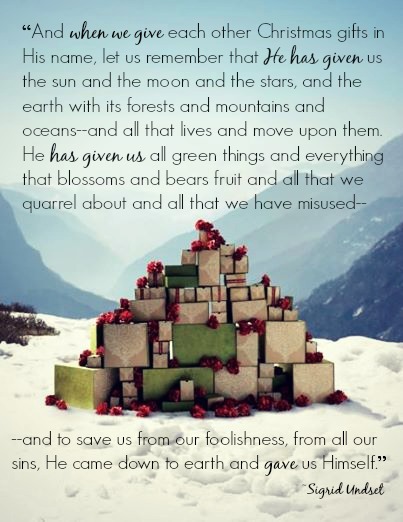 And isn’t all our gift-giving just a variation on the amazing theme of God’s most amazing gift? If I can just include, somehow, a little of myself – infused with the love in my heart towards the recipients: good gifts! Even on Cyber-Monday, ha! Amen!Merry Christmas to you and yours Jeanie,love to all. Same to you, Lynettie! Love you.